Gooney Bird Greene has plopped herself right smack in the middle of our read alouds! 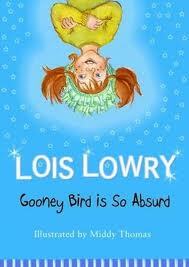 We are currently reading Gooney Bird Greene by Newberry award winning author Lois Lowry. The class finds Gooney Bird hilarious with her story telling abilities and her penchant for being right smack in the middle of everything, she has become our newest favourite character! 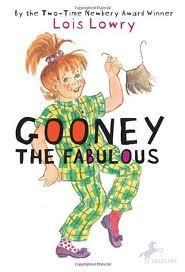 This book is all about story telling – well the telling of absolutely true stories (as Gooney Bird so often clarifies). And we spend a lot of time laughing at the detail and drama in Gooney Bird’s stories as well as the funny reactions of her Grade 2 classmates at Watertower Elementary school. 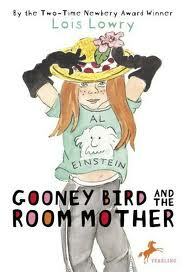 Pick up this book to discover how Gooney Bird travelled on a flying carpet, how her cat was consumed by a cow, how she received her very unique name, etc. 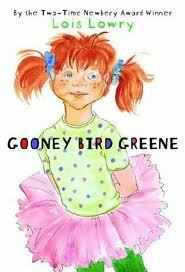 I have the feeling we will be reading more Gooney Bird stories in the very near future! This entry was posted in Novels and tagged beginning chapter books, great read alouds by carriegelson. Bookmark the permalink.